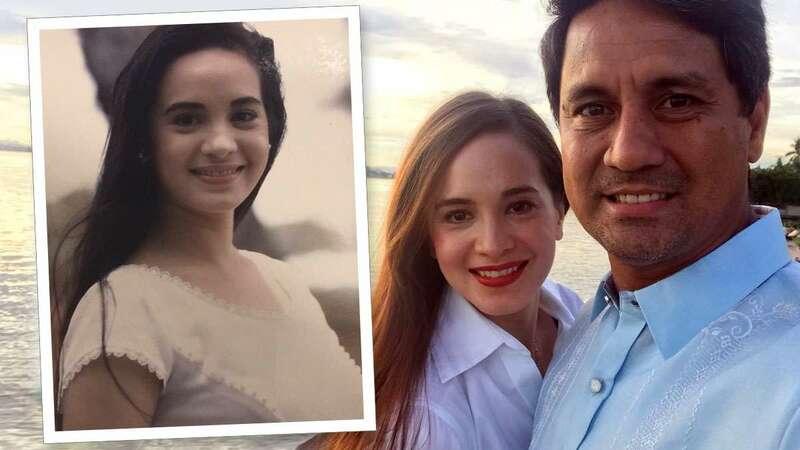 Lucy Torres-Gomez revealed a kilig story about an old but beautiful photo of her taken 25 years ago. The photo shows an 18-year-old Lucy during the shoot of her ~*iconic*~ Lux Shampoo commercial in the '90s alongside her real-life crush and now-husband Richard Gomez. "I never knew this photo existed until I became his wife. This was taken in 1993, in Lake Caliraya where we shot the second storyboard of our Lux Shampoo commercial. Here, I am all of 18 years old, in a long white dress, and totally in love with him (well, since I was 12, actually). The latter, of course, no one knew except for my sister Caren who was with me as my chaperone. "Anyway, this was Day 2 of our shoot, the morning was hot and the wind was cool, the lake sparkled like a bed of diamonds under the golden sunlight. I remember seeking shade under some tree during the break, and people from the production house and agency were taking behind-the-scenes shots. And somewhere far away from the crowd, there was Richard—tall, dark, handsome, and perfect, in khaki shorts and a shirt, his professional camera with him. I looked towards him, and seeing that his camera was pointed somewhere in my direction I smiled for him, never mind if I did not know for sure if it was I that he saw in those [lenses]. "Years later, in 1998, I married him to live happily ever after, and as a very new bride organizing our things in our home, I saw this photograph in a drawer. He says he has kept it all along, and that I look beautiful. And if indeed I do, my love, it is only because I was looking at you." Here's a look at some of Lucy and Richard's popular commercials back in the day. Who would have thought this two would end up together? Lucy and Richard are celebrating their 20th anniversary in April.